Packed with MSR’s latest technologies, the Women’s Lightning Explore snowshoes represent a giant leap in snowshoeing performance, ease and comfort. 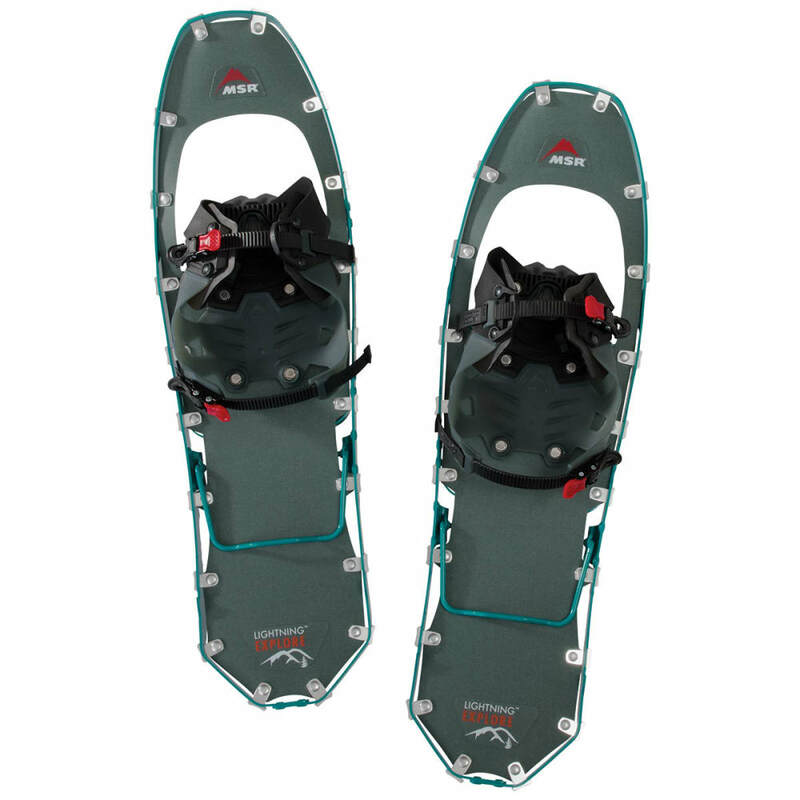 First, new Axis™ Gait Technology allows you to laterally adjust bindings independently of the frame, ensuring efficient, parallel-tracking snowshoes regardless of your natural toe-out or toe-in stance. 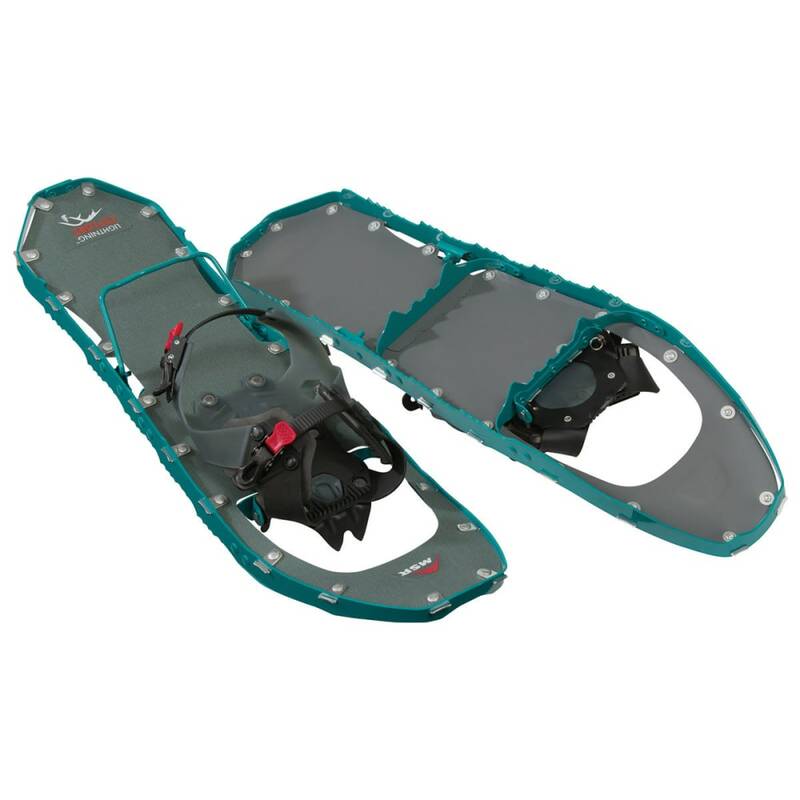 Combined with an aggressive and low-profile 360° Traction frame adapted for a women’s narrow gait, these shoes offer absolute snowshoeing efficiency. In addition, new HyperLink™ bindings are MSR’s easiest and most comfortable binding. Ergo™ Televators save you on the steeps and, of course, you get the benefit of Modular Flotation tails (sold separately) to provide you with the confidence and versatility you need across a broad range of snowshoeing experiences. Weight per pair: 3 lb. 14 oz. Load w/ tails: 120-270 lb. Avg. Weight (pair): 3 lb. 14 oz. Dimensions: 7.25 in. x 25 in.